Ala Moana Center has invested nearly half a billion dollars in new stores and parking, but not without some growing pains. Pacific Business News Editor in Chief A. Kam Napier has more. If you’ve ever remodeled your home you know how difficult it can be to carry on with business as usual while the place is half torn up. Since late 2013, Ala Moana Center has been on an extensive remodel, converting the former Sears space in into an entirely new wing while adding 1,250 new parking spaces. According to sale figures obtained by PBN, the extensive construction may come with some short term pain. Sales at the center declined 7.5% in 2015 compared to 2014 and year to date have remained flat through 2016. 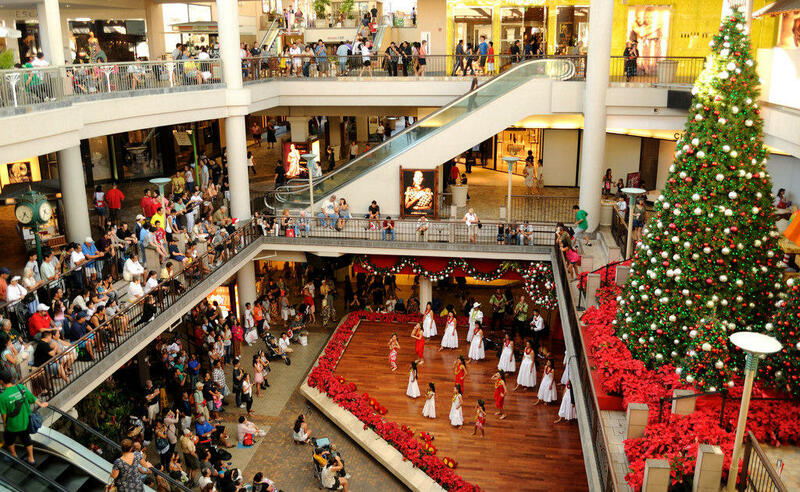 Ala Moana Center’s owner General Growth Properties Inc., based in Chicago, declined to comment on the numbers. But local commercial real estate and retail experts say the construction likely played a part in the drop. There are other challenges that Ala Moana faced. One, specific to Hawaii, was the declining value of the yen against the dollar, leading Japanese visitors to spend less than they might. All retail in Hawaii has declined 2% year-to-date in 2016 and, nationwide, retail is down 9%. Construction of the Park Lane condominiums will be completed next year, and the former Nordstrom space on the Mauka side of the center will be split between a Saks Off Fifth outlet and a Target. Otherwise, major projects at the center are complete and perhaps shops and shoppers alike will get a breather before rail construction enters the neighborhood. 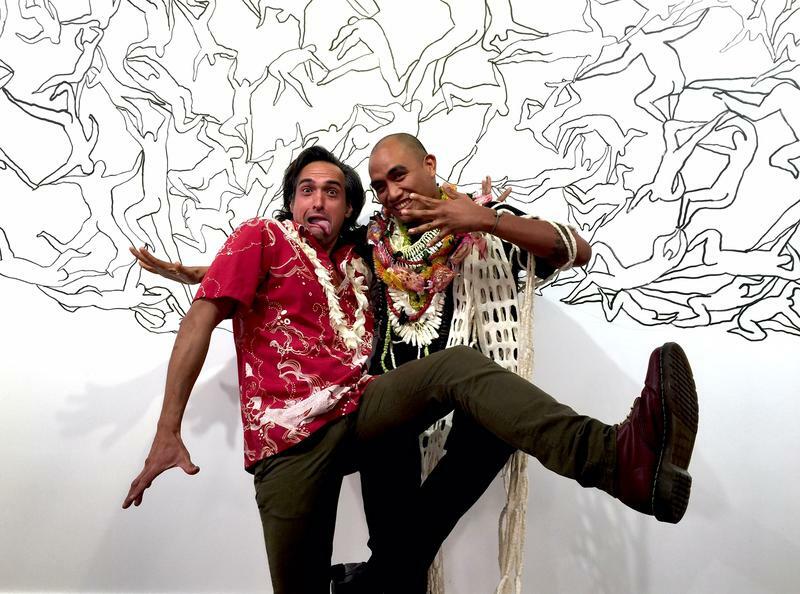 In the run up through November, Fashion Month, Ala Moana Center is celebrating different facets of Hawai‘i’s fashion industry in a new pop up called the Fashion Annex. The current exhibition features a view of fashion that is both ancient and possibly futuristic. HPR’s Noe Tanigawa explores the idea of clothing that integrates understanding of culture, materials, and place. 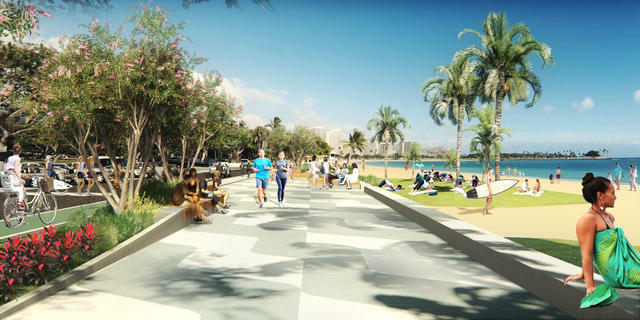 Honolulu City and Council officials are looking for the public’s feedback on a renovation plan to Ala Moana Beach Park. A nine point plan announced last year has already made improvements to the park. But last week the city released a draft plan that would redesign the 948 existing parking, switching to angled stalls near the McCoy Pavillion.